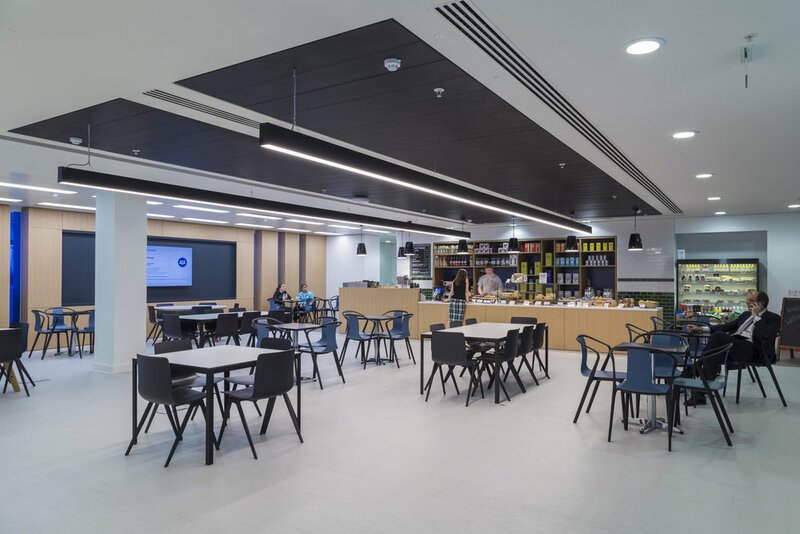 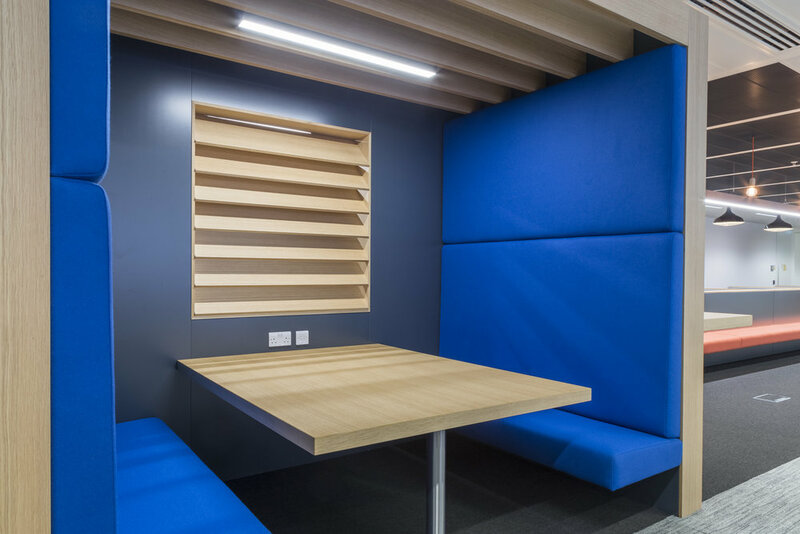 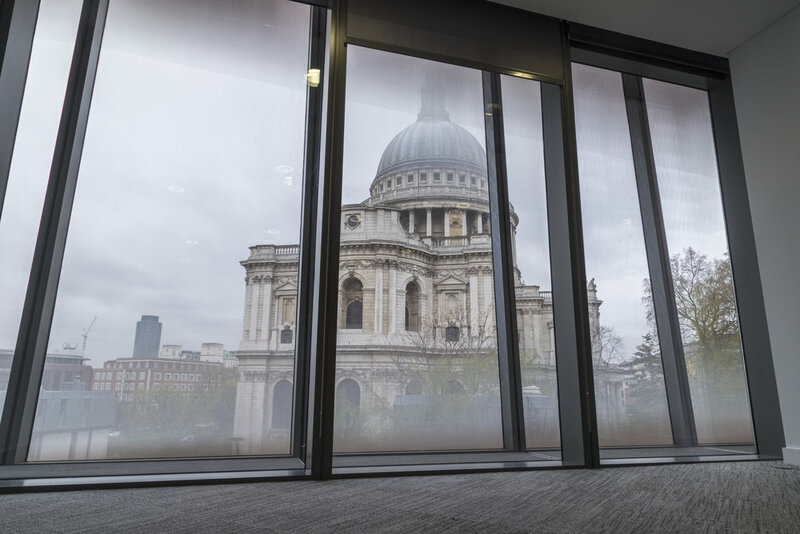 This refurbishment of the London office for multi-national project consultants Turner & Townsend demanded a high-quality installation in keeping with their brand. 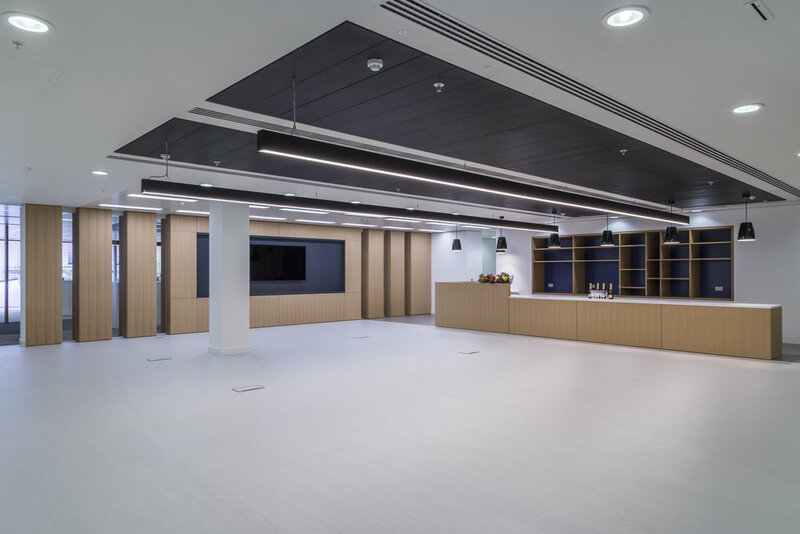 Based near the iconic St Pauls the whole project maintained a crisp and modern feel thanks to a combination of materials and designs. 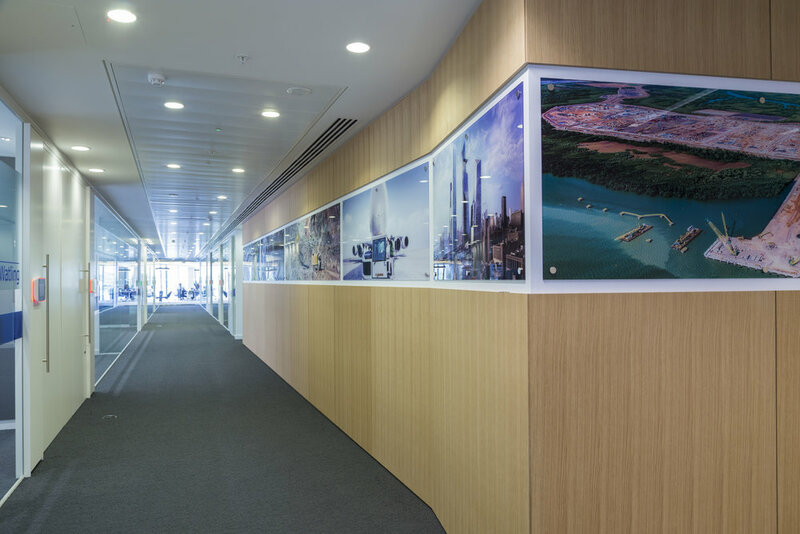 Particular joinery highlights included reception area column cladding in illuminated glass, a veneered wall with a large central band for graphics and reception area signage machined from corian.